CMT’s Nashville wrapped up the first half of the series’ final season last week with dramatic twists, and gave fans a first look at the final eight episodes set to air Thursday, June 7th at 9-10 pm ET/PT. The landmark series will close with its final episode set for Thursday, July 26th. When the series returns this summer, Nashville will feature two new recurring roles with the additions of Ronny Cox and Mia Maestro. Nashville is produced by Lionsgate and Opry Entertainment. Ronny Cox (True Detective, RoboCop) has been cast in the recurring role of Gideon in the second half of season six of Nashville. Gideon is a recently reformed, lifelong alcoholic. He’s come back to try and heal a long broken relationship with his son, Deacon (Charles Esten). Gideon is a crusty, frustrated, would-be musician, who resented his son’s success. Mia Maestro (The Strain, Scandal) has been cast in the recurring role of Rosa in the second half of season six of Nashville. Rosa is a dedicated follower of Darius’ (Josh Stamberg) Movement who is now having doubts about her role in it. From Lionsgate Music, The Music of Nashville: Season 6 Vol 1 is available now in all digital music stores including iTunes and Spotify. 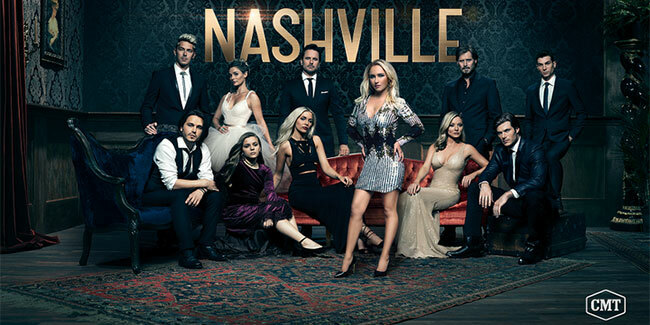 Nashville stars Hayden Panettiere as Juliette Barnes, Clare Bowen as Scarlett O’Connor, Chris Carmack as Will Lexington, Charles Esten as Deacon Claybourne, Kaitlin Doubleday as Jessie Caine, Jonathan Jackson as Avery Barkley, Sam Palladio as Gunnar Scott, Maisy Stella as Daphne Conrad and Lennon Stella as Maddie Conrad. In addition, Season 6 features Ilse DeLange as Ilse, Rhiannon Giddens as Hallie Jordan, Cameron Scoggins as Zach Welles in recurring roles. The series is executive produced by Marshall Herskovitz and Ed Zwick (the creators of Thirtysomething), Steve Buchanan and Callie Khouri, who created the series.